This unique shaped building is nestled in the riverside neighborhood of Braeside. Offering a beautiful view of the river and secluded greenery of the river valley. Perfectly located next to St. Albert Centre and just off of St. Albert Trail. Surrounded by conveniences, Call Sturgeon Point Villas your next home. Receive up to $3360 OFF on select suites. These upgraded suites with modern finishes are perfect to call home. 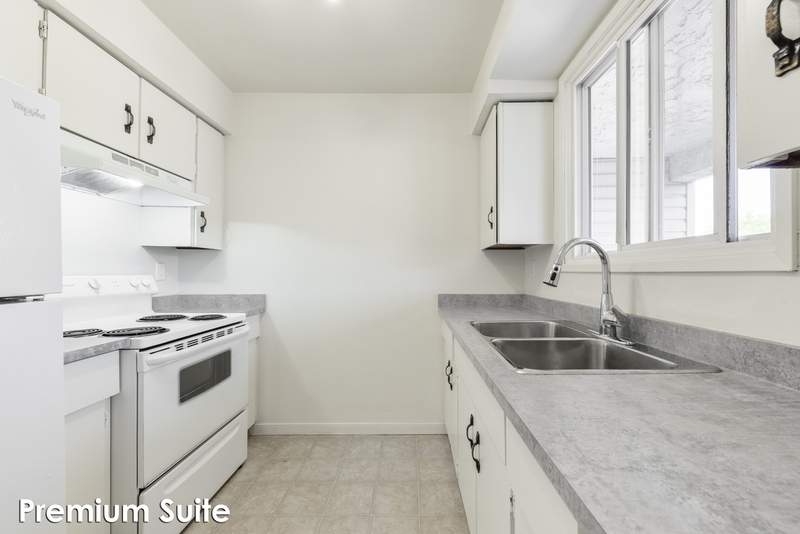 Providing a fridge, stove and ample in suite storage space. Upper suites have balconies and ground suites have a walk out patio. Heat, water and an energized parking stall are included in rent. 1, 2, 2 + den, 3 and 3 bi-level suites available. The Braeside neighborhood is located just east of downtown St. Albert. Allowing all amenities accessible by walking or a short commute. With the prime location to local business and necessities and the calmness of the river right in your backyard Sturgeon Point Villas is the ideal place for families to call home. Easy Access to major roads such as St. Albert trail, McKenney Avenue and Bellerose Drive. Small pets are permitted with a $25 monthly pet fee (per pet) pending approval of pet application.